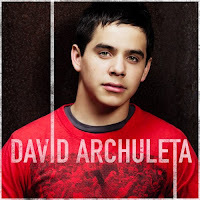 Bring Da Beat Back: Album Review: David Archuleta "David Archuleta"
Album Review: David Archuleta "David Archuleta"
If you had told me before the seventh season of American Idol began that my favorite contestant would be a guy who's younger than me, I would have laughed in your face. But as it turns out, David Archuleta's age & heartthrob image are very deceiving. The purity and strength of his voice are not only far beyond his years, but extremely rare in any male singer. David Archuleta had me on his side the entirety of Idol's last season, so it goes without saying that I was really anticipating this album. Thankfully (& in no way to my surprise), David delivers on his self-titled debut album like only he can. David Archuleta starts off with first single "Crush," which blew me away at first listen & continues to light up the airwaves as one of the best songs currently at radio. Second single "Touch My Hand" follows & has a great feel to it that is just different enough from, yet similar to its predecessor that it should be successful as well. David continues his genius with "Barriers" & "My Hands," the latter of which has a "Crush" feel, but includes an even better musical structure. My personal favorite track is "A Little Too Not Over You," the chorus from which will turn you into a puddle of sludge the first time you hear it. David abandons the big sound of the previous tracks with "You Can," a beautiful acoustic song that is one of those vocal displays we were all hoping would be included on this album. "Running" is another of my favorites--even if they are difficult to pick out. The track that follows, "Desperate," has some of the more intriguing lyrical content on the record. "To Be With You" is a controlled piano ballad that is absolutely gorgeous. The enjoyable "Don't Let Go" is then followed by "Your Eyes Don't Lie." Now, David Archuleta is lucky he is who he is because if I heard the beginning of this song & it was by almost anyone else, I would have been too scared to continue. Although it starts out sounding a bit country, David pulls off the song really well. The album is wrapped up with a great new recording of "Angels." David Archuleta is the perfect blend of radio-friendly tunes & actual talent that I've personally been dying for. I am so glad David found a contemporary recording sound that works well for him. For what it's worth, this album is easily my favorite from any Idol alumni, which shouldn't surprise any of my loyal readers. David Archuleta is such a talented guy & his debut album displays that talent perfectly. Great review, I agree with 5/5!!! 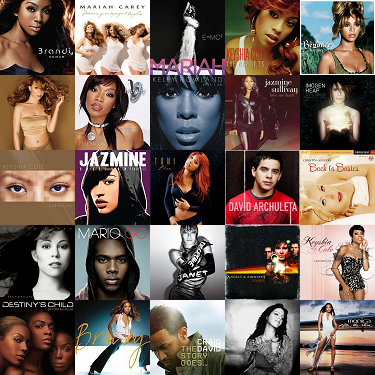 I can't possibly pick a favourite, although "You Can" shows off the (emotional) power of his voice. If anyone else sung that it would be quite bad, because that smokey and SOARING voice only exists in David Archuleta - his voice box alone is worth killing for! Love Love David Archuleta and lovin' the commentary on his album here. and yes, I love A Little Too Not Over You also. Maybe it's because David put a lot of him in that song ,co-written by him and all. Thanks for your wonderful review. I too was rather scared when I heard the beginning of "You're eyes don't lie" because I'm not a country fan. But that song ended up being one of my favorites. Thank you for the review.. Can't agree more with you.. David is the real deal.. Still, there are some stupid parties that make ridiculous review about his album.. Here is 1 of them..